4 1/2 Stars, Top Pick! A refugee from the war in France, the tattered but elegant Marielle Lyon has established herself at the fringes of London society. 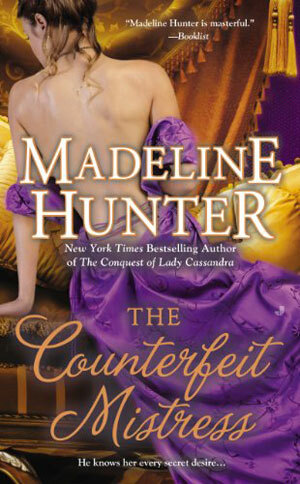 Claiming to be the niece of an executed aristocrat, Marielle welcomes the gossip that she is a spy. The more eyes she has watching her, the better protected she is—and the better chance she has of completing her long-planned mission. Two of those eyes belong to the stoic, handsome Viscount Kendale. She leads him in a high-stakes dance, unaware that she is playing with the most dangerous kind of fire for a woman with a secret. A warrior at heart, Gavin Norwood, Viscount Kendale, has no patience with the frivolities of society to which his title subjects him. He would still be in uniform if not for his older brother’s untimely death. 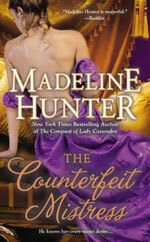 After all he’s seen, Kendale doesn’t trust the French—or their femme fatales. He has set up a private surveillance network to ferret out undercover agents, and he believes he’s found one in the delicate, mysterious Marielle. With one glance at the papers Kendale’s triumph turned to confusion, then annoyance. These were not documents or letters, such as he assumed. He flipped through. None of them contained a spy’s secrets. Instead each sheet of the stack of thick paper displayed the same engraving. It was a satirical image, such as the book shops and print shops display in their windows. In a crude drawing filled with exaggerated faces and poses, accompanied by dialogue filling bubbles exuded by various mouths, a little scene from a farce unfolded. The words were in French, however. He bent down and studied the caricatures. He always recognized the ones showing British political figures or members of the peerage or ton. He could not identify any of these men. It did not appear to be an image ridiculing British policies for propaganda purposes. Rather it looked to be a satire of a French official. His French was not the best, but the engraving accused this official of stealing funds from the government. He sat on a throne composed of farmers and workers while he doled out part of the taxes they paid to himself. Why would Marielle Lyon be meeting men in an alley to hand these over? Perhaps she had discovered who made them, and obtained these as proof to be sent to France as evidence. If so, the artist might be in danger if his name became known to the French. The lilting voice startled him. He resisted the impulse to pivot toward it. Instead he moved several folio sized books on the table to cover the papers strewn on the table. These engravings were the least of it. It would be a hell of a thing to bring a French spy into these chambers and leave maps of France’s coast out for view. He turned around. Marielle Lyon stood at the doorway to the bed chamber. Her loose golden brown hair fell around her shoulders in a cloud of disarray. Her dirty bare feet showed at the other end of her body. In between she had cocooned herself in a blanket much as she normally wore a shawl. She appeared naked under that drape of soft wool. She clutched it closed above her breasts, but a good deal of skin showed around her neck and upper chest anyway. A bruise besmirched one snowy shoulder, and another defiled the side of her normally flawless face. She had to be in pain from the blows alone, plus the knife wound. She showed no indication of it, however. Her cool gaze drifted down his body, reminding him that he was barely in better dress than she. He resisted the impulse to button his robe so his naked chest would not show. Marielle Lyon would be impossible to handle if she thought herself bolder and more worldly than he was. She gave a little shrug that was eloquent in conveying her indifference. If you want to think so, it is all the same to me. He assumed it also meant there would be no thanks. Her attention drifted around the library, to the shelves of bindings and the fabrics at the windows. Her gaze paused on the fireplace, and the musket and sword held to the wall above it by iron arms. She took a few steps and fingered the wood of a chair with interest. Pleasure had been the last thing on his mind. Until now. The flirtation of her demeanor and provocation of her words caused his body to heat and tighten. She saw it in him. Smiling sweetly, triumphantly, she stepped closer yet. Her eyes sparkled with humor and delight. She had looked at him like this once before, from far away. He had come upon her unexpectedly, sitting in a garden with Emma Fairbourne and Lady Cassandra. Seeing his spy chatting with those ladies had taken him aback. While he decided what to do, she had noticed him. Boldy, smugly, she had stared at him. Then she had smiled. Just like this. It turned her into a girl. An innocent. It was as if time reversed, and he was seeing Marielle Lyon years before she came to England. Desire and confusion had assaulted him then. And now. Confounded him. Even knowing all too well that French woman were experts at coquettish charm did not help. Nor did knowing that she was wounded even beyond the damage he saw. He began calculating a seduction that ended hard and slow. She slid her hand to where the robe parted, then ventured under its silk. Warmth penetrated his skin and chest. Desire roared dangerously. To hell with the seduction part. It was all he could do not to grab that blanket and tear it off her. With effort he kept his jaw firm and his eyes clear. A caress, like a teasing flow of velvet, drifted tentatively. He must have reacted more than he thought because she smiled again. Then her fingers touched the bandage. A skimming sensation assessed the size and placement of the dressing. No longer flirtatious, but her hand still had him clenching his teeth. Her blanket slipped a bit on one shoulder, revealing more skin and making her appear as naked beneath as she was. She was thin. Too thin, but soft enough. Her body would suit her face and that walk--- lithe and delicate. She probably used her femininity the way she used her mind, with dangerous and worldly cunning. She was wrong, however. He did not follow her in anticipation of pleasure or seduction. Even if she really were whom she claimed and not the charlatan he suspected, he would never pursue a French woman for her favors. Even the best of them were not to be trusted. “I have washed out much. My shawl will hide the rest.” She strode toward the bed chamber. Not for certain, but suspicions ran rampant about her. In the government, and even among the French émigrés. She had to know that. Her show of indifference and impatience was a feint. She stretched so her face came closer to his, belligerently. “A waving flag would be more subtle than you are. I always know when you are there. I let you follow while it amuses me, and end it when it grows tedious. He would be quick enough. Eventually she might even return home. Soon, however, this particular shrewd, pretty French woman would be going to gaol, and that was the best outcome she could expect.